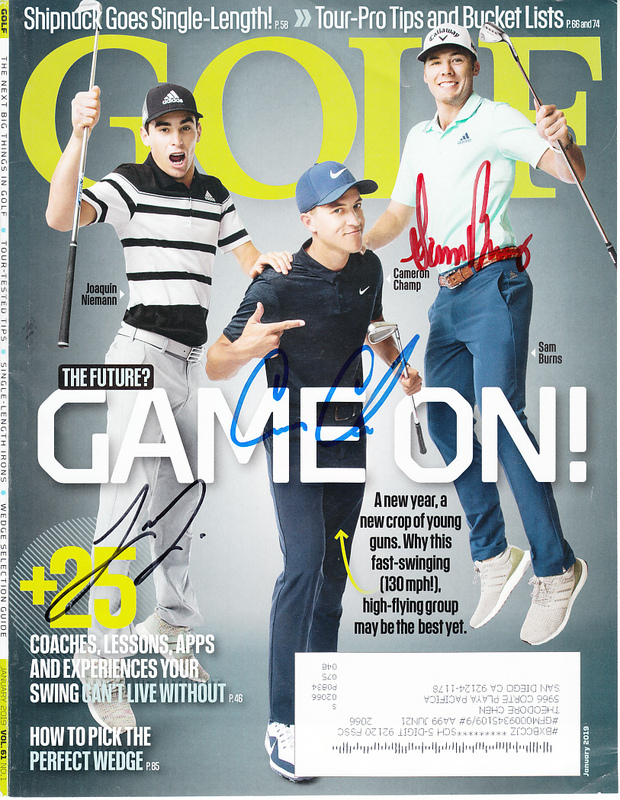 2019 Golf Magazine COVER ONLY autographed in various color markers by PGA Tour rising stars Sam Burns, Cameron Champ and Joaquin Niemann. Obtained in person, with certificate of authenticity from AutographsForSale.com. HAS MINOR HANDLING FLAWS AND WEAR. ONLY ONE AVAILABLE FOR SALE.